Spanish people love pastries. We eat them for breakfast, with our midday coffee and even during the merienda (mid-afternoon snack, kind of like the British tea time, but without the tea). That explains why there is a bakery pretty much in every street in Barcelona! We couldn’t leave without our freshly baked bread and our delicious pastries. When I’m on a food tour, I always make sure to show my guests some unique bakeries and point out at the local cakes they sell, so maybe they want to try some. And if they are staying at an apartment, very often they end up planning to get some for breakfast next day. It’s also a great treat for kids! So today I’ll be sharing with you my favorite ones. Ensaïmada is to Spain what croissant is to France. Actually, you’ll often see them displayed side by side in bakeries. This pastry comes from Majorca, and the name comes from the Catalan word “saïm“, which is pork lard – its main ingredient (I’m afraid it’s not a vegetarian-friendly treat…). You’ll often find two different flavors of ensaïmada: the plain one and the one stuffed with spaghetti squash jam (cabello de ángel). But if you ever travel to Majorca, you’ll find it stuffed with many other ingredients ranging from chocolate, to whipped cream and even sobrasada (a Majorcan pork spread with paprika) – this last one might seem like a quite unusual sweet and sour mix, but when it’s served hot, it’s surprisingly delicious! In Barcelona, you’ll find this one and many other flavors at the specialty shop called Formentor. Now imagine a croissant stuffed with cream, deep fried and sprinkled with sugar. Too rich? Not as much as you’d think! This cake is typical from Girona, although you can easily find it all over Catalonia. The legend says that a troubadour was in love with the daughter of a baker and they were caught by the father one night that he had sneaked in her room. The troubadour managed to jump through a window, escaped and hid in the warehouse where they stored the flour sacks. Unfortunately, the flour powder got to his nose and he couldn’t refrain from sneezing: “Choo-Choooooooo!”, and so the baker found him and threatened to kill him. The troubadour then asked to be forgiven and that he’d marry the girl to protect her honor, and teach him a cake recipe that would make him famous. The cake was named after the sound of the sneeze. Funny, uh? Our favorite xuxos in Barcelona are those that bar Pintoxo in La Boqueria market serves for desert. And those by Oriol Balaguer are also exquisite. This Spanish pastry is very popular in Catalonia too, and it’s sold all year around. The coca from Montserrat, for instance, is very famous and no local will leave the monastery without buying some. It is also the typical dessert that everyone eats for Saint John’s eve (June 23rd). 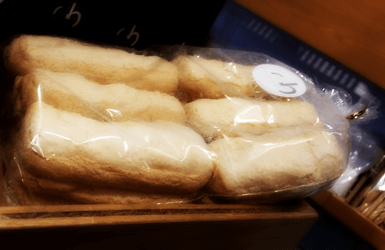 The classical one is a sweet flat bread covered with sugar, and its texture is similar to that of a doughnut (although it’s baked, not fried). But you’ll also find it topped with cream or candy fruit. There’s also coca with pine nuts, coca de vidre (crystal coca, very thin, crispy and sugar glazed), and coca de llardons (drier instead of fluffy, as it’s made with pork lard and pine nuts). Coca de recapte is a savory version of this desert, and it comes topped with veggies, anchovies or ham: it’ll probably remind you of Italian focaccias, although ours are thinner and drier. This Spanish pastry is a popular sponge cake, that I’d dare say it’s one of the first cakes kids learn to bake. It has a sort-of sandy texture, and it comes sprinkled with icing sugar, and sometimes pine nuts as well. It’s great dipped on a glass of milk, coffee and of course on hot chocolate. Made basically with flour, sugar and eggs (with sometimes lemon or orange zest or some liquor), it is a quite light cake that is often used as a base for more elaborated cakes. These Spanish pastries are typical from the North of Spain, and we could say they are from the same family of muffins, although they have a rectangular shape, a lemony flavor and more moist. When I was a kid, I loved to dip them on my chocolate milk in the mornings! Another good memory I have is from a recent trip to the North to visit Gaudi’s El Capricho: we stopped over the picturesque town of Santillana del Mar and bought some traditional sobaos, quesadas and a glass of fresh milk, as it’s typical there. In Barcelona it’s not common to find them in bakeries (as it is in Cantabria, for instance), but you’ll often find them in supermarkets next to cookies and muffins. Spanish people love to dip stuff in their hot beverages. 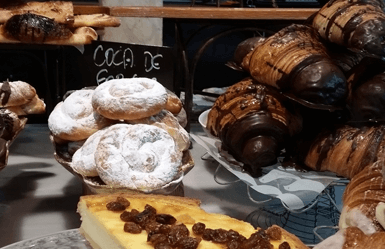 Of course, everyone has heard of churros on hot chocolate, but here are other pastries from Spain that might not be as famous, but they are equally delicious (and actually lighter). Melindros or melindres are sponge fingers make a good alternative to churros and you’ll often find them in some Barcelona hot chocolate venues for that purpose. They are also available in most supermarkets. Instead, fartons are a different type of sponge fingers (with glazed sugar on them and an inside texture closer to a croissant – but not quite) that are made in Valencia to dip on orxata, the most popular Summer drink in Spain besides gazpacho. Outside of Valencia you’ll only find them in some specialty orxata bars. So what about you? 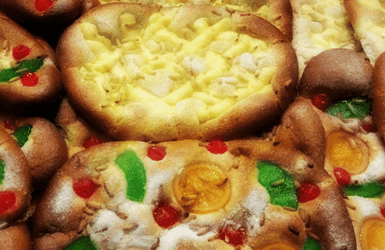 Head to the comments below and tells us: have you ever tried any of this breakfast Spanish pastries?